I'm calling this next one the Dream Cottage Dollhouse. It's going to be lots of white and very shabby chic(as usual). 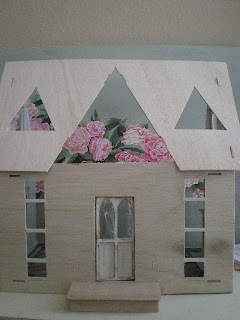 I got the Orchid Dollhouse kit from Greenleaf for this cottage. I'm making a couple design changes. 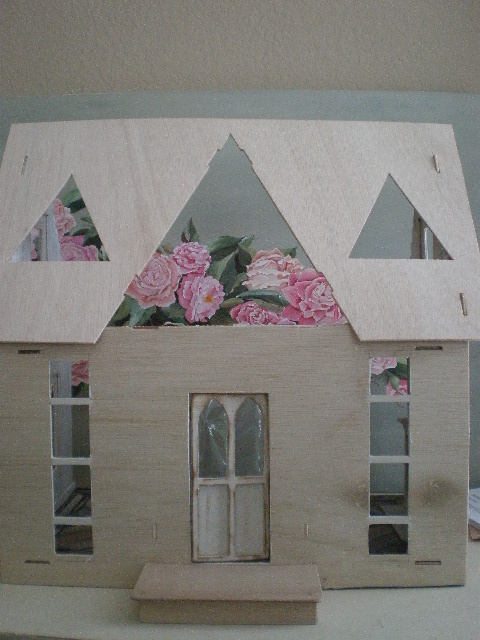 First, I made the 2 front windows taller. 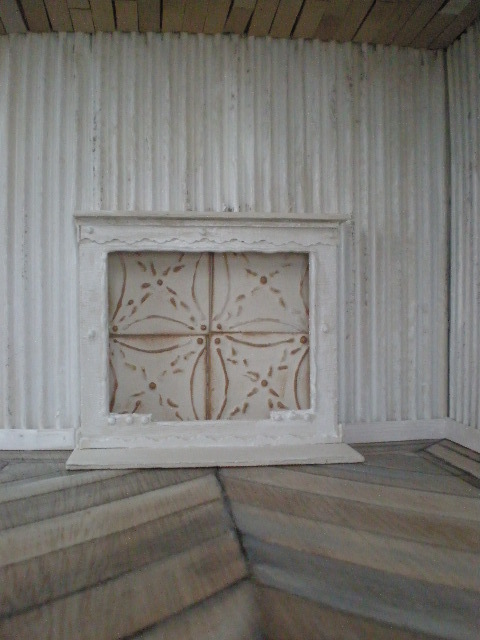 I already made the little faux fireplace from left over pieces of dollhouse. Inside, I made some tin tiles from cardboard and hot glue. 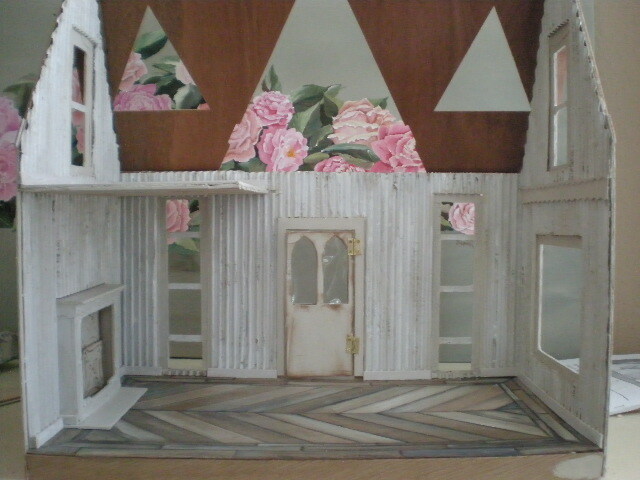 The walls are from the cardboard box the kit came in. 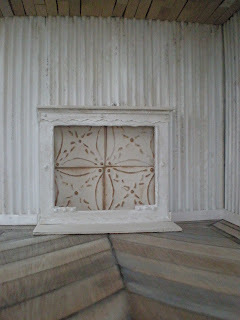 I just ripped off one side to expose the ridged part, painted cream and white. The floor has a herringbone pattern in the middle and a straight plank boarder. I made a little loft on one side of the house and I'm leaving the rest as an open 2 story. 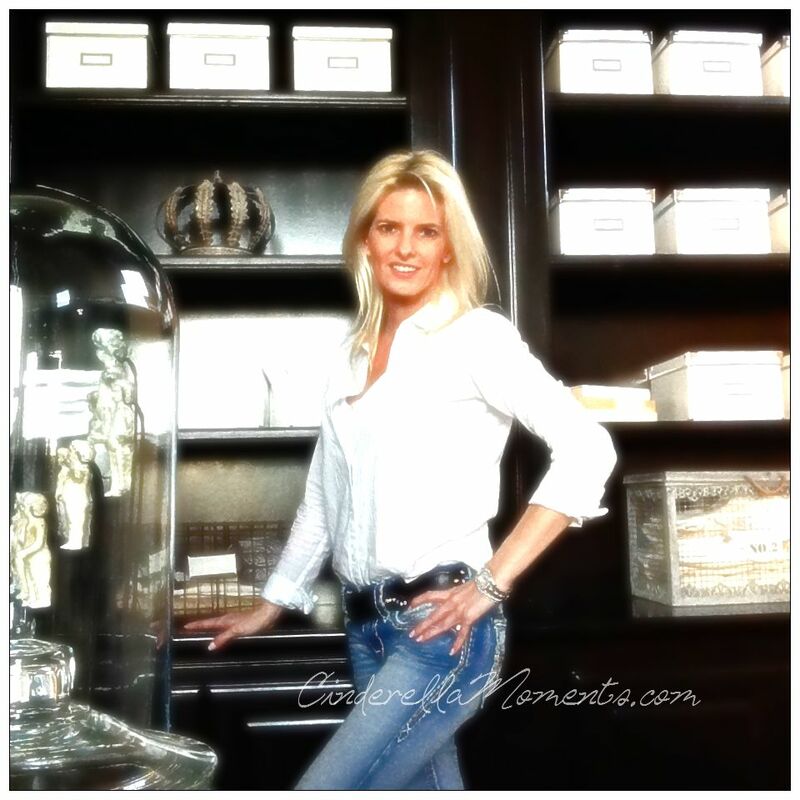 I am so excited to see how your house turns out! I love what you have done so far!!! Oh, goodness, you have barely started and I can already tell you that I want to live there!!! A loft? I can't wait to see it all! Have fun creating the rest of it. So far, it's fantastic.